Daniel Craig credited the Austin Powers films with the serious tone of modern Bond films saying that they made it "impossible to do the gags" and "we had to destroy the myth because Mike Myers f*cked us." 2. Ernie Hudson, who played Winston Zeddmore in Ghostbusters, auditioned for the same character in the animated series two years later but didn't get the part because they didn't think he sounded enough like Winston from the movie. 3. David Prowse, the actor who played Darth Vader, stopped learning his lines after he found out that his voice would be dubbed over. Instead, he would improvise lines, sometimes speaking complete gibberish, forcing his co-stars to respond as if he had said the correct line. 4. Glenn Shadix, the actor who played Otho in Beetlejuice, was subjected to “ex-gay” electrical shock treatments when he came out to his parent. When this failed to change his orientation, he attempted suicide and survived a 3-day coma. After the incident, his parents accepted his sexuality. 5. James Earl Jones spent only 2.5 hours recording all of Darth Vadar's lines for Star Wars and was paid $7,500. Richard Karn, the actor who played Al on Home Improvement, heard about the role after receiving a traffic citation, going to traffic school and sitting beside an agent who told him about a casting session for the show. 7. Seth MacFarlane was originally a writer and animator for classic shows like Johhny Bravo and Dexter's Laboratory. 9. The only character to appear, played by the same actor, in 10 different series is Richard Belzer's, Detective John Munch. He has appeared as this character in crossover shows ranging from X-Files to Arrested Development. His character has even been on five different TV networks. 10. Actor Kevin James was the number one spot on his high school wrestling team until he had a season-ending back injury. His friend took over his place and became WWE star, Mick Foley. Actor Paul Newman made his own food brand just to let all the income go to charity. He also built a camp for seriously ill children. To this day, “Newman’s Own” has donated over $350 million to thousands of charities around the world. 12. Leonardo DiCaprio was offered the lead role in “Hocus Pocus” but turned it down to act in “What’s Eating Gilbert Grape.” Though he was paid far less, it earned him his first Oscar nomination for Best Supporting Actor. 13. Jason Alexander threatened to quit "Seinfeld" in the third season. After the table read of "The Pen", which features only Jerry and Elaine, Alexander pulled Larry David aside and said, "if you write me out again, do it permanently." In 9 seasons, that was the only episode he wasn't it. 14. Peter Cushing, the actor for Grand Moff Tarkin, found his costume's boots to be very uncomfortable. Any time his feet were not visible in the shot he would be wearing comfy slippers. Grand Moff Tarkin destroyed Alderaan wearing comfy slippers. 15. Actor Christopher McDonald, the actor who played Shooter McGavin in Happy Gilmore, says he never pays for a round of golf because of his widespread fame from that role. 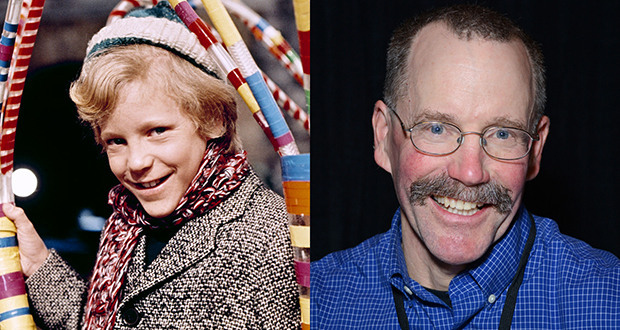 Actor Peter Ostrum who played Charlie in the original Charlie and the Chocolate Factory was offered a three-picture deal after filming. He declined the offer and bought a horse with his earnings from the movie which spawned a love for animals. He then decided not to pursue acting and became a vet. 17. Billy Crystal's character, Miracle Max, in the Princess Bride was so funny that it nearly stopped the production of the movie. One actor bruised a rib from clenching to try not to laugh. 18. Alan Rickman had been with his first girlfriend (Rima Horton) since 1965 - when he was 19 years old. 20. Rainn Wilson originally auditioned for the role of Michael Scott in "The Office." The producers didn’t like his audition but offered him the role of Dwight. Hugh Laurie auditioned for his role in House M.D. by shooting a video in a hotel bathroom. Director Bryan Singer, unaware that Laurie is English, commented: "See, this is what I want: an American guy." 22. Pavel Chekov did not appear on 'Star Trek' until the first episode of the second season. The character was created to attract young viewers by resembling Davy Jones of The Monkees. 23. Superman actor Christopher Reeve was interested in Scientology until he was auditing and told them about a "past life" that was really a story from Greek mythology. He was disillusioned that they believed his lie and stopped pursuing Scientology. 24. Jackie Chan never really liked the Rush Hour Series but continued starring due to the “irresistible” amount of money he was offered. 25. Actor Vincent D'Onofrio holds the record for most weight gained for a movie role. He gained 70 pounds to play the role of Private Leonard Lawrence (aka Private Pyle) in Full Metal Jacket.